Home to traditional English pubs, restaurants, cafes, delis and farm shops, there is an eatery to suit every taste and pocket, making it the perfect alternative for those looking to taste new flavours on a foodie infused escape. Flavour explorers coming over to the Island by car can enjoy a 40-45 minute service across the Solent from either Portsmouth or Lymington from just £68 per vehicle for a short break stay. 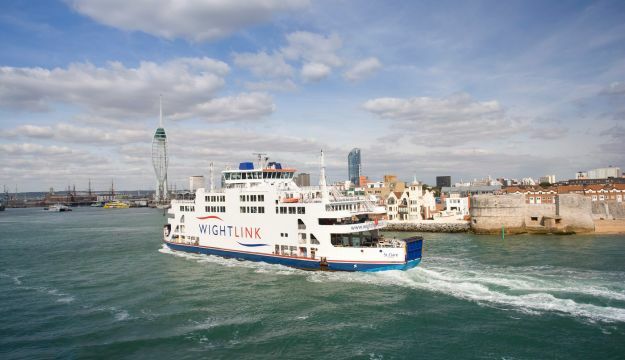 Alternatively, foot passengers coming from London can take the train into Portsmouth Harbour before hopping on board Wightlink’s catamaran service, which is conveniently located at the station. Catamaran passengers will reach the Island in just 22 minutes and can enjoy return ferry prices from just £17.80 per adult and £8.90 per child*. Autumn on the Island provides the perfect opportunity to curl up by a roaring fire in one of the many traditional English pubs. The Boathouse is located on the Island’s sea front and combines quality dining in a cosy pub environment. Awarded with The AA Dinner Award in 2011 and 2012, the pub holds a passion for using local food that matches perfectly with its vast ale and wine selection. Visitors looking to indulge in a more extravagant meal have plenty of options on the Isle of Wight. Famous chef Robert Thompson, who was in 2007 the youngest British chef to be awarded a Michelin star, has just launched his latest restaurant, Thomson’s. The seasonal menu is full of farm produce and reflects the Island’s premium flavours. Whilst exploring the Island, there are many restaurants offering light bites and nibbles that will sustain appetites. The Little Glosteris the ideal option for holiday-makers looking to enjoy simple yet tasty food in unique Scandinavian influenced décor. Winning Hampshire’s ‘2014 restaurant of the year’, the large menu provides perfect breakfast, lunch and dinner options. Those looking to taste some of the Island’s freshest food must head to Tapnell Farm’s The Cow Co. This restaurant offers a menu packed with farm beef and dairy treats. Visitors can taste the renowned beef burgers prior to trying one of the local ice creams. A visit to the farm shop is a must for those looking to purchase some gourmet delights or the homemade produce curated by The Cow Co.
Alternatively, The Garlic Farm is one of the Island’s most popular foodie spots. Brimming full of garlic infused treats, visitors can head to the specialist restaurant and taste the array of quirky menu options or roam the grounds and shop for some garlic cooking inspiration. Quarr Abbey Teashop is located in the stunning Abbey surroundings. Offering a range of savoury and sweet treats made from organic, hand-picked food, there are many premium snacks to indulge in while taking in the landscape.